Amazon Upgrades the Kindle DX, Concedes Defeat to Apple? It’s a big news week for Amazon: They’ve announced an update to the big-screen Kindle DX e-reader in a week or so, with an improved e-ink display and lower price. Way lower–down $110 to $379. Is this Amazon’s first response to iPad? The new Kindle DX will come with a graphite body, partly to make it stand apart from earlier incarnations of the device and partly to demonstrate Amazon does take some elements of style seriously (and, we also wonder, partly because a dark gray enclosure may make the faintly grayish e-ink screen look whiter to the eye via an optical illusion). The 9.7-inch screen itself has been updated with newer electrophoretic technology so that its contrast ratio is said by Amazon to be 50% better–which is a huge bonus as contrast one of e-ink’s last remaining benefits over competing display tech. Inside the electronics and software driving the Kindle have had a much-needed warm-over, and there’s now Twitter and Facebook connectivity in the updated OS. The battery lasts a week of operating time with the wireless Whispernet system operating, and other features like the auto-rotation and keyboard are still there from the older model. How Amazon is selling this upgrade is, however, pretty telling. It notes that Whispernet is free, that the e-ink display “reads like real paper” and “works in bright sunlight” unlike “backlit computer or LCD screens.” Though this last phrase is slightly confusing (pretty much every portable device uses a back-lit LCD unit, as OLED tech is still pretty rare) we can forgive Amazon this as they’ve dropped the price of the device by $110 to $379–a 22% fall that’s going to tempt many new customers to the Kindle platform. But all of these maneuvers are designed to combat Apple’s iPad, which has a 9.7-inch screen but relies on LCD tech, its 3G service relies on paying a third party provider for access, and the base model with 3G capabilities is $629 which is a hefty $250 more. Amazon, in comparison to this limited description of the iPad, seems to be offering one heck of a deal. Except it’s not. The Kindle’s e-ink tech may be more efficient power-wise, but only anecdotal evidence suggests it’s easier to read e-books from than an LCD unit. The Kindle’s battery life may be impressive, but the iPad can easily last a whole-day’s worth of use. The new Kindle may deliver Twitter and Facebook integration, but the iPad’s Twitter and Facebook interactivity, via Web browser or dedicated app, is significantly richer. And while the Kindle is cheaper, it’s pretty useless for anything other than browsing e-books. Spending the extra cash on an iPad delivers a similar-sized platform that can let you play games, watch video, and compose content for work purposes. And you can get a free Kindle app for it that’s fully integrated into Amazon’s e-book ecosystem. Amazon’s CEO Jeff Bezos may well be on record saying that the platform and ecosystem of Kindle are separate, and that the iPad and e-reader are in a different “product category,” but this half-hearted upgrade of the Kindle totally confirms that the e-reader is limited to filling a niche product category in the medium term. If Amazon truly thought the e-reader had a big future they’d have spent, say, 50% more effort on the Kindle to turn it into something really attractive–something surprising, or with powerful bonus features over those of its predecessor. 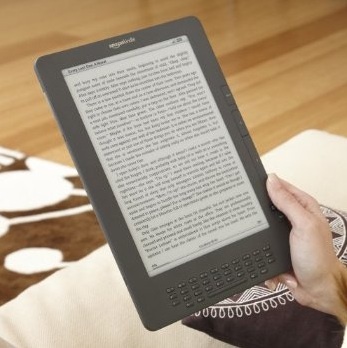 Amazon just confirmed that the e-reader is doomed.